God – There is one God, Creator of all things, infinitely perfect, and eternally existing in three manifestation: Father, Son, and Holy Spirit. His nature is love. Jesus spoke of God as the Father. 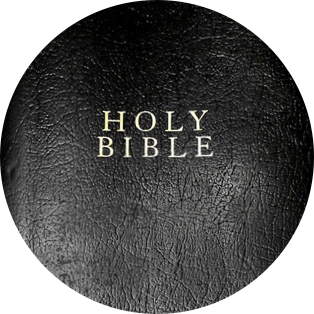 John 17:3- The scriptures identify the fatherhood of God in five areas: He s the Father of Creation-James 1:17, The Father of Israel-Jer.31:9. The Father of Jesus Christ -Matthew 3:1, A protective father emphasizing His defense of the poor and oppressed – Psalms 66:5, and a redemptive father when we become the children of God- John 1:13- Romans 8-15. Jesus Christ – Jesus Christ is the true God and true man, having been conceived of the Holy Spirit and born of the Virgin Mary. He died on the cross, the complete and final sacrifice for our sins according to the Scriptures. Further, He arose bodily from the dead, ascended into heaven, where. at the right hand of the Majesty on High, He is now our High Priest and Advocate. Holy Spirit -The ministry of the Holy Spirit is to glorify the Lord Jesus Christ, and in this age to convict men of sin, regenerate the believing sinner, indwell, guide, instruct, and empower the believer for godly living and service. Man was created in the image of God, but fell into sin and is therefore lost, and only through regeneration by the Holy Spirit can salvation and spiritual life be obtained. Salvation -Salvation is a gift of God’s grace and cannot be obtained through works. It is freely given to those who put their faith in the finished work of Jesus Christ on the cross. All who confess Jesus as Lord and believe in their heart that God raised Him from the dead will be saved. Salvation is by faith alone, through Grace alone, in Jesus Christ alone. John 1:12; Acts 16:30-33, Ephesians 1:7, 2:89. The Great Commission – Jesus commissioned the church (all Christians) to go into the world and teach all nations, baptizing them in the name of the Father the Son, and Holy Spirit. God works through Christians as instruments of Jesus Christ through the power of the Holy Spirit. (Matthew 25:31-46; 28:18 -20). Water baptism by immersion soon after accepting Christ as personal Savior, is a testimony of death to sin and resurrection to a new life. Holy Communion – The Lord’s Supper is a memorial service setting forth sacred and symbolic manner the death of the Lord Jesus Christ, all true believers and only believers should share in it. Heirs – And if children, then heirs; heirs of God, and joint-heirs with Christ, if so be that we suffer with him, that we may be also glorified together. Romans 8:17. Where is the kingdom? Luke 17:20 – Asked by the Pharisees when the Kingdom of God would come, He replied to them by saying, The kingdom of God does not come with signs to be observed or with visible displays. Luke 17:21 Nor will people say, Look! Here it is! or, See, It is there! For behold, the kingdom of God is within you in your hearts and among you surrounding you. He rules, He reigns over heaven and earth.